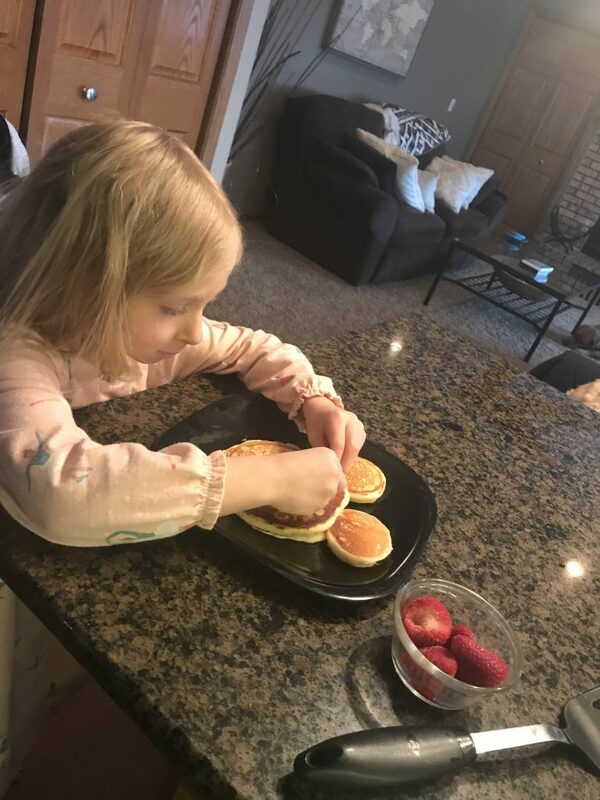 My niece visited last weekend, and when I asked her what she wanted for breakfast she said, without missing a beat, “Minnie Mouse Pancakes.” Not wanting to disappoint, that’s what we did. 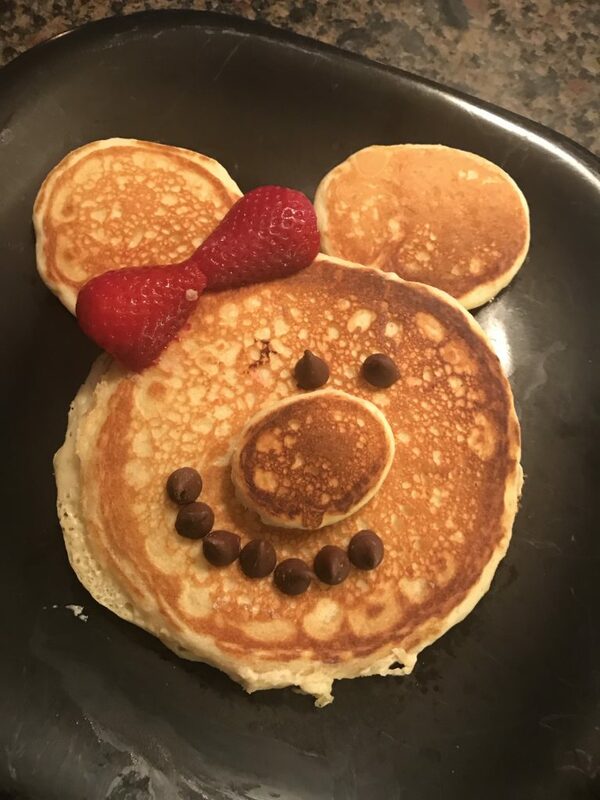 While I’m not sure these are the cutest, best-ever Minnie Mouse pancakes, they made her happy and were easy to make. Plus, we had all the ingredients on hand. 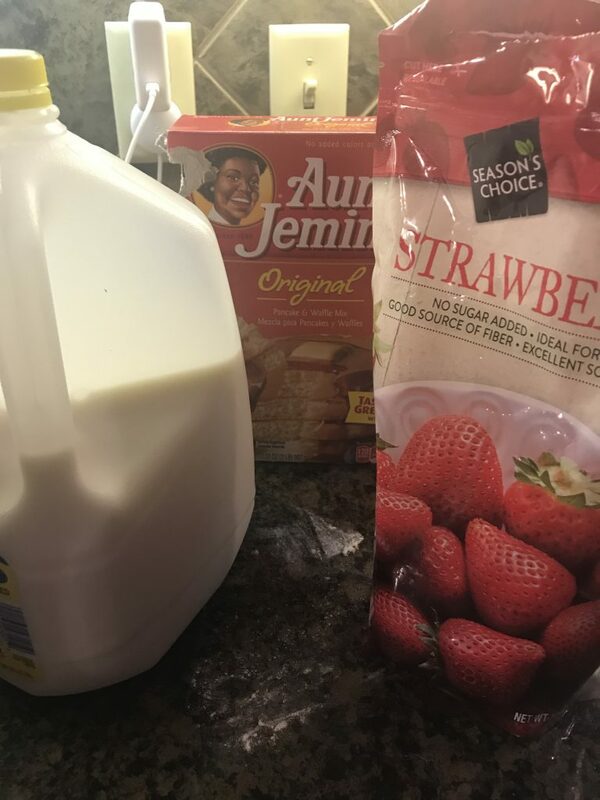 First, make your pancake batter according to the instructions on the package. 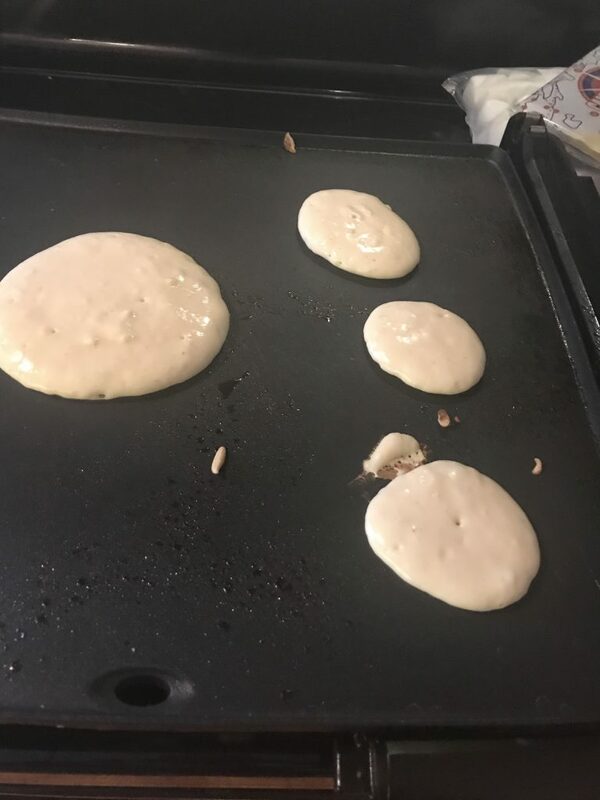 You’ll be making one large pancake for the face, two medium-sized pancakes for the ears and one small one for the nose. It helps to do a couple “practice” pancakes first. Or, make a few extra and only use the ones that look the best. I did a few pancakes for ears, and chose the two that matched the best to actually use. 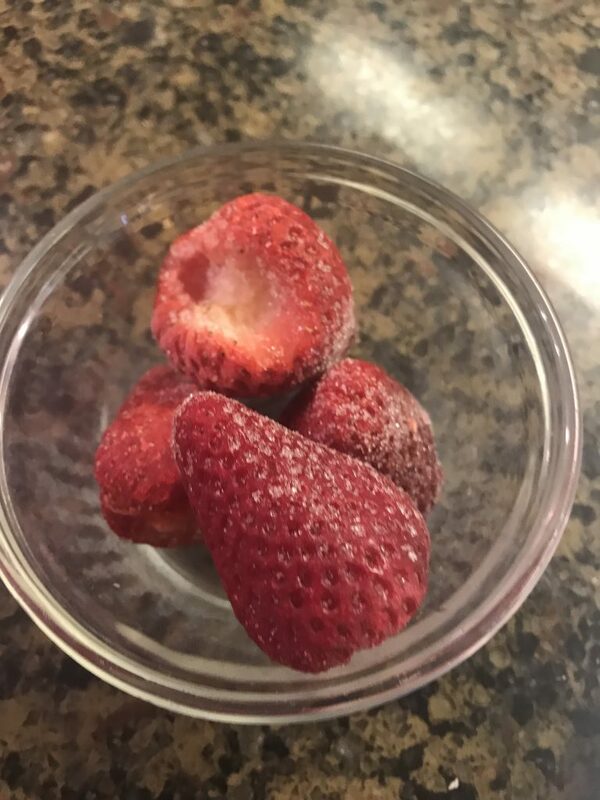 I used frozen strawberries for Minnie Mouse’s bow. I always have them on hand. All I had to do was defrost them slightly. Then, I just cut them in half. My niece had fun putting Minnie together. We used chocolate chips for the eyes and mouth, but if you have blueberries those would work too. To make Minnie’s bow. place the tips together and the big bottoms facing outward in the spot where her ear meets the big pancake face. She’s not perfect, but she’s cute! 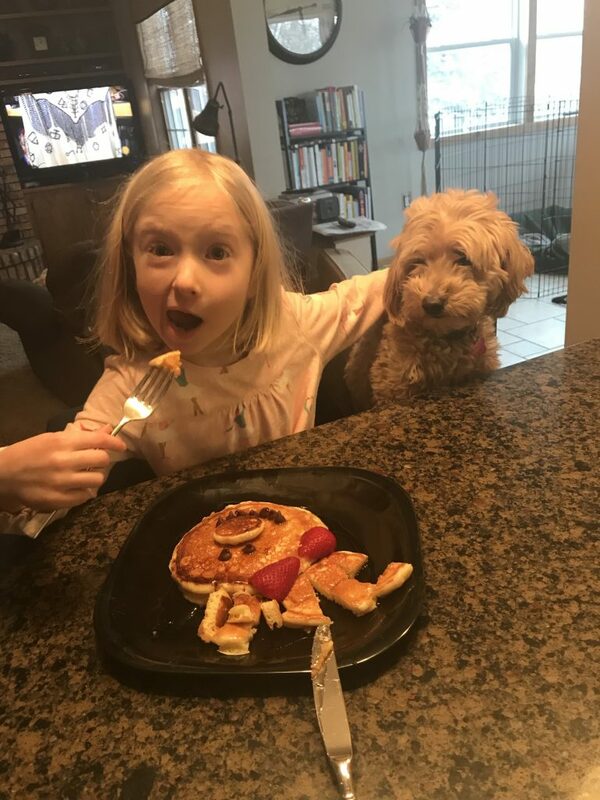 Penny (our dog) had her eyes on those pancakes, for sure!